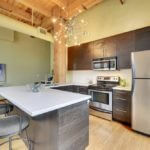 Housed in a turn-of-the-century warehouse building, Riverwalk Lofts is a classic residential conversion featuring 76 unique loft spaces. 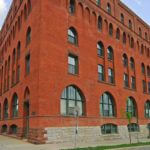 Modern day design blends naturally with the building’s historic architectural character. 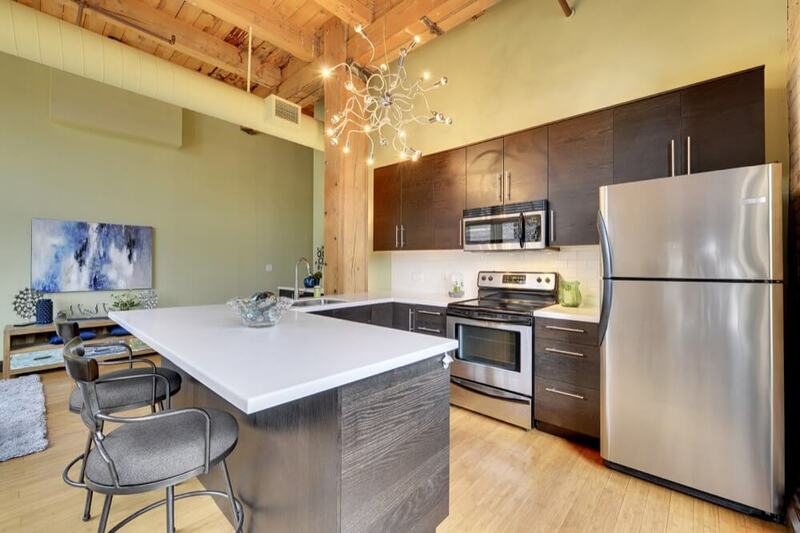 Offering some of the smallest spaces in the neighborhood, Riverwalk Lofts’ charming, vintage interiors seem to make up for its lack of square footage. 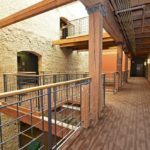 The building itself is constructed of post and beam, heavy timber and masonry, and showcases an impressive five-story interior atrium that extends through building’s center. 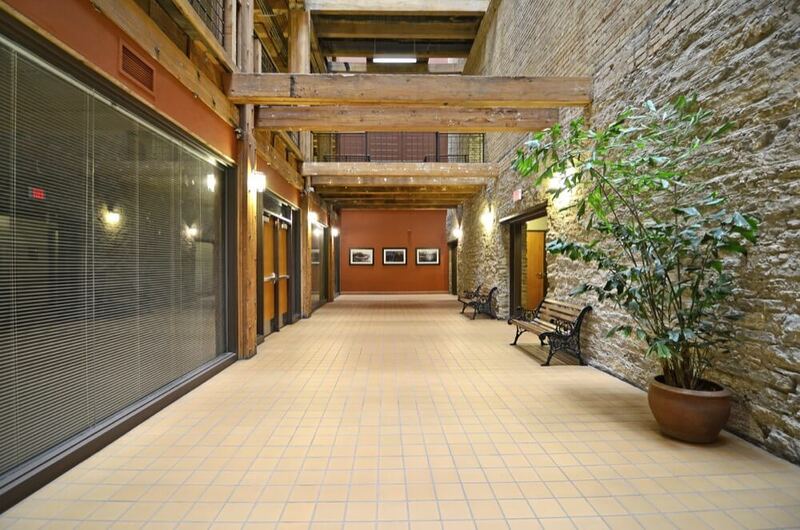 Other amenities within Riverwalk Lofts are sparse. 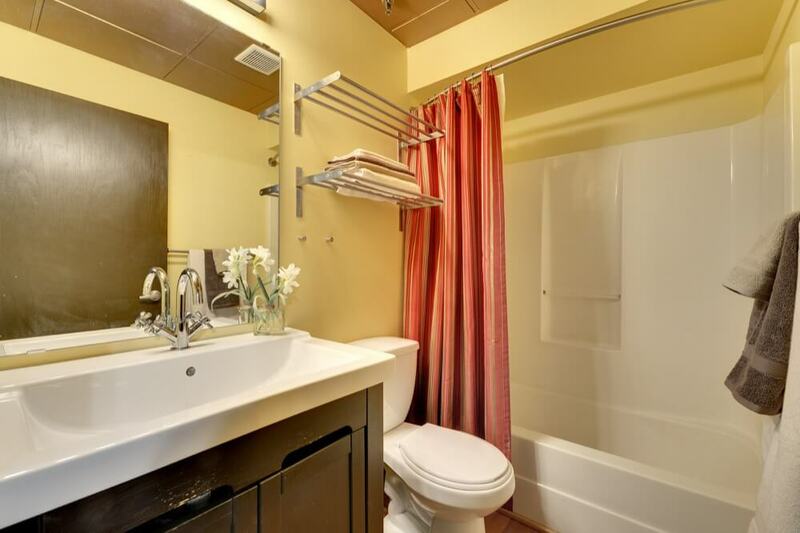 Some units do not come with private parking and most are not equipped for in-unit laundry. 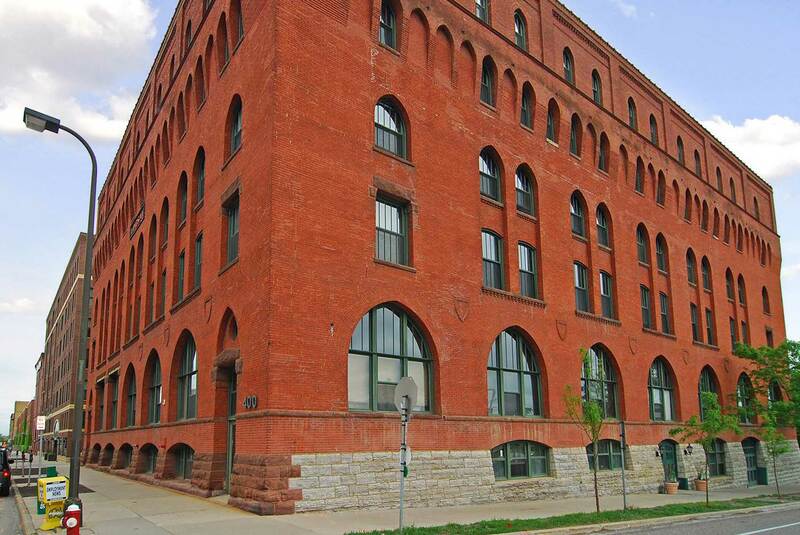 Second floor units at Riverwalk Lofts have large arched windows. 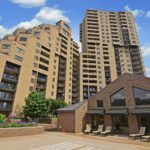 Many of the units feature sprawling urban views of the North Loop and the Downtown skyline. 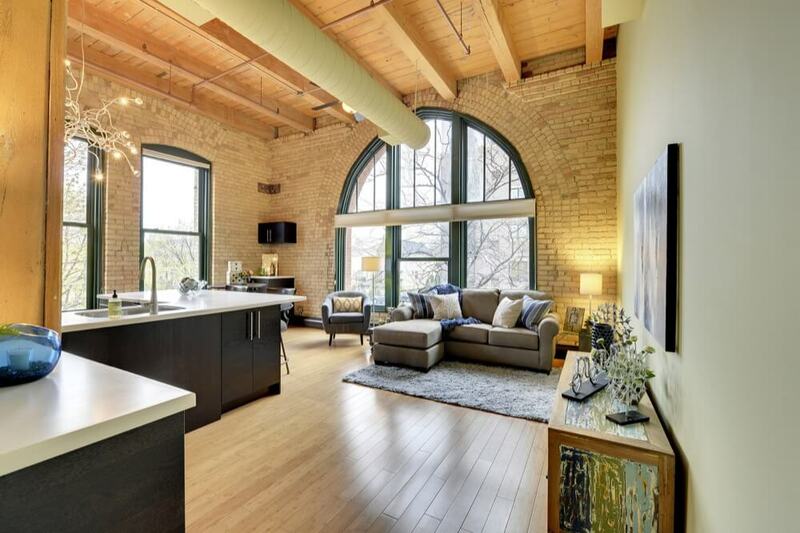 Some of the upper level lofts at Riverwalk feature unique interior skylights. 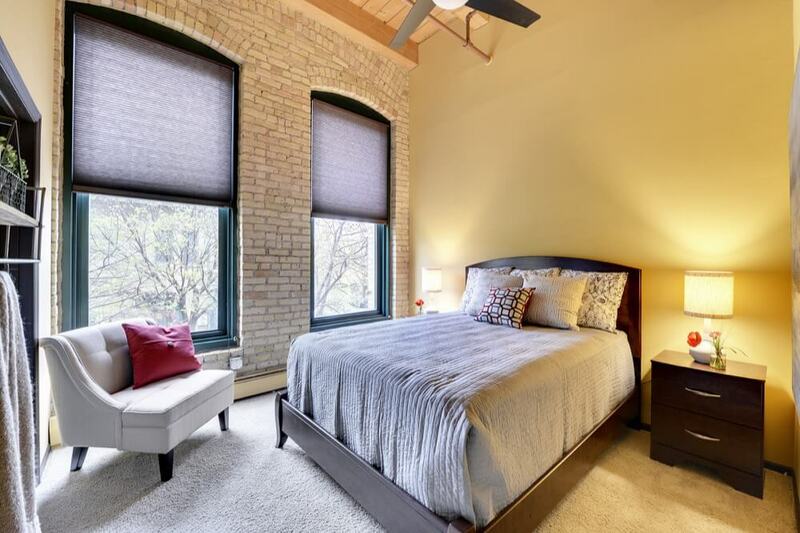 Inside Riverwalk Lofts you’ll find a wealth of exposed native brick, 13-foot lofted ceilings and visible ductwork. 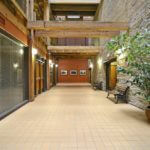 Punctuated by pillars and beams, the historic interiors are also brimming with original woodwork. 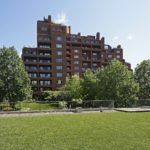 Large, arched windows on the second floor lend additional character to some of these compact units, which range in size from 655 to 1,016 square feet. 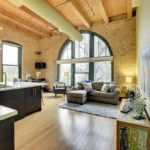 Riverwalk Lofts features a combination of studio, 1 and 2-bedroom units. 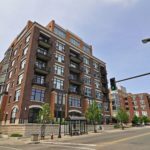 Interiors boast 13-foot lofted ceilings, exposed brick walls, visible ductwork, original woodwork, and views of the Mississippi River. 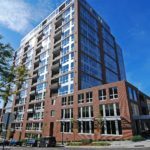 Riverwalk Lofts has six guest parking spaces. 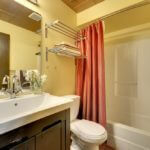 These guest spots are also shared with the residents at Lindsay Lofts. 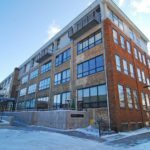 Riverwalk Lofts receives a walkability score of 91 from walkscore.com. Daily errands do not require the use of a car. 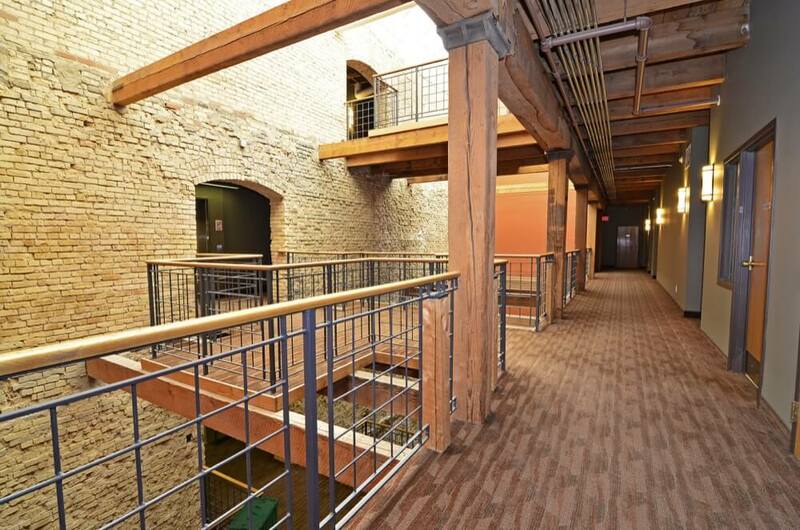 Beneath Riverwalk Lofts you’ll find two commercial tenants, Silvestri and Fulcrum Consulting. 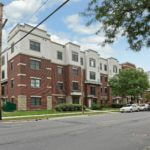 FirstService Residential is responsible for property management at Riverwalk Lofts. They can be reached at (952)-277-2700. 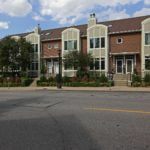 Moving is allowed weekdays 8am-5pm. No weekends or holidays. 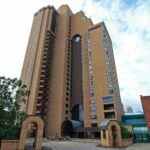 A non-refundable move-in fee of $500 is required in advance.